fans, the ‘High Point Rockers’ were officially unveiled, along with their logos, at the site of BB&T Point. The Rockers will begin play in the Atlantic League of Professional Baseball in the spring of 2019. Also revealed to the crowd were four logos, seen below, that now appear on caps, t-shirts, and other merchandise; some of which was available for purchase at the event. 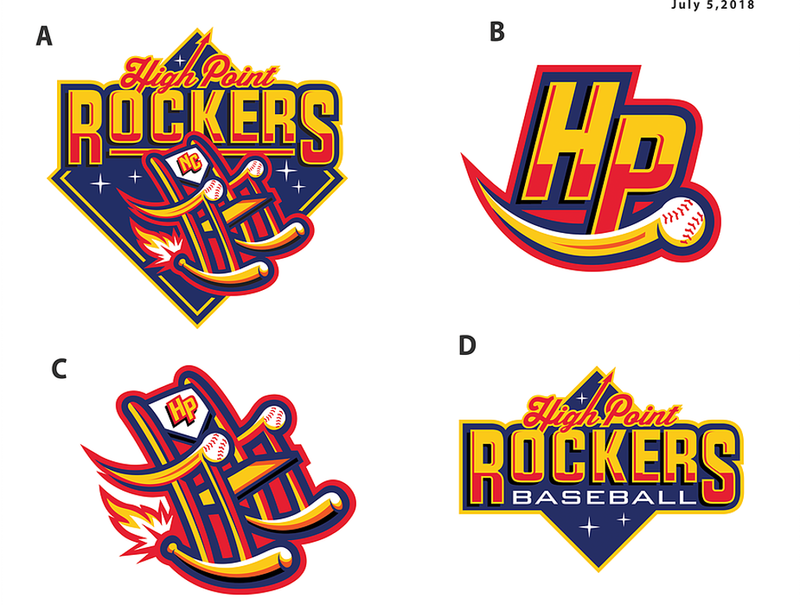 The primary logo features a rocking chair with baseball rockers, hand grips made of baseballs, and a flame that will help rocket the team, and the City of High Point, in to the future. Each logo includes four main colors visible in each design. Ball Point Blue, High in the Sky Orange, Rocket Chair Red, and Summertime Yellow all pay homage to the city, name, region, and season off the new team.